"After reading a bit and watching some clips, I've got to say I'm sympathetic to Serena Williams. Why? NOT because I'm woke. Rather because I'm a traditional fan hostile to intrusive & snowflake-like umpiring, an American who roots for other Americans, & an admirer of excellence." Williams is an amazing athlete. In this case she was ousted by a player who happened to outplay her. 6-3 6-4 is a pretty solid win. Williams should have focused less on the umpire. Williams needs to grow up, being a good athlete does not give anyone the right to think they are so high on their pedestal they cannot be knocked down... The way Naomi Osaka was treated was absolutely ridiculous and shameful. Osaka spent what should have been her victory lap in tears. It had been her childhood dream to make it to the US Open and possibly play against Williams, her idol, in the final. At the awards ceremony, Osaka covered her face with her black visor and cried. The crowd booed her. Katrina Adams, chairman and president of the USTA, opened the awards ceremony by denigrating the winner and lionizing Williams — whose ego, if anything, needs piercing. Shameful treatment by all of the winner. If a mistake was made, she is not the one who made it. Tennis is a game. All games have rules. All games have some sort of judging, whether by an official or the general public. 100% of those involved rarely, if ever, agree 100% of the time. 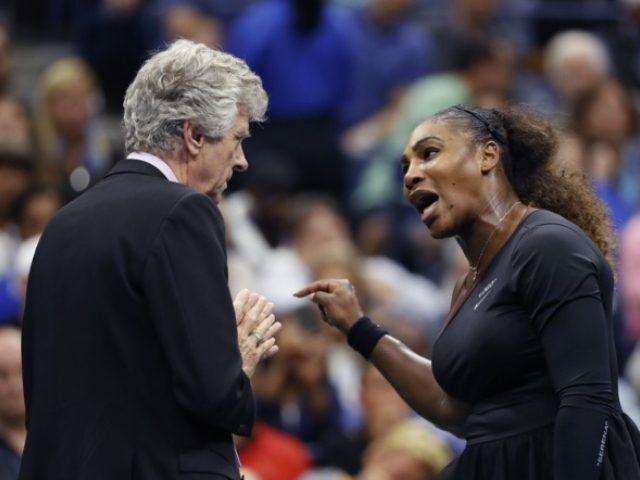 It was ruled that Serena lost the game. IMO, she and the crowd brought shame to tennis and to the U.S., whom she represented. Osaka deserves a huge apology from all involved. Why should she retire. She became angry at a game and was penalized. She did not dishonor the champ. It was the audience because they felt that the 3 point penalty was unfair. Serna has nothing to apologize for. She did not disrespect her opponent, the audience did. Williams. Should take a knee. Also, remember this rule: never do what authority tells you...rather, do the opposite and the complain about unfair treatment or consequences...whether it is obeying an officer or an umpire.